The hosts really managed to shine during the tournament and will feel unlucky not to have made it to the semi-finals, having missed out by a mere 3 points. As well as the contributions of Thomas Jr, the team benefitted from being in excellent physical condition, which allowed them to maintain consistently good performances as the tournament progressed. The reason behind this level of performance was down to their training regime: they trained four days a week in the build-up and played friendlies against professional clubs from Honduras and Panama. The squad is also home to a few players who ply their trade overseas: Sebastian Martinez is at Swindon Town and Kray Foster is with Reading. “The players from pro clubs bring experience and knowledge and in the sessions others players mimic that. They show leadership to the team.” said manager Owen Dinnall. But perhaps most significantly for the tiny island is the economic boost this tournament has provided. Cayman Islands Premier the Honourable Alden McLaughlin touched on this at a press conference on Thursday. A surprise, yes, but not in a positive way. Much more was expected of Jamaica (see above) as they overpowered their Caribbean counterparts but crumbled against the Central Americans. The stage was set for them to spring a surprise for two reasons: a) coach Fabian Davies and a handful of scouts from the Jamaican Football Federation (JFF) carried out an extensive scouting programme in the summer. “A couple coaches, who are a part of the [national] setup and I, went out and tried to get the best players from around the island. The group I have right now is not bad and each day the quality of play has improved. They are growing slowly together,” he explained before the tournament kicked off. It would have to be Guadeloupe. Little was expected of them but they were relatively close on the tail of table toppers Honduras and the squad excelled. Players such as the aforementioned Choisi, Luther Archimede, Lory Chouan, Heindrix Hebreu, Benoit Gedeon and the supremely named Ludwig Francillette grew as the tournament went on and they’ll walk away from this better, more experienced individuals and competitors. The Under-15s give hope to a senior side which is currently stuck in stagnation. 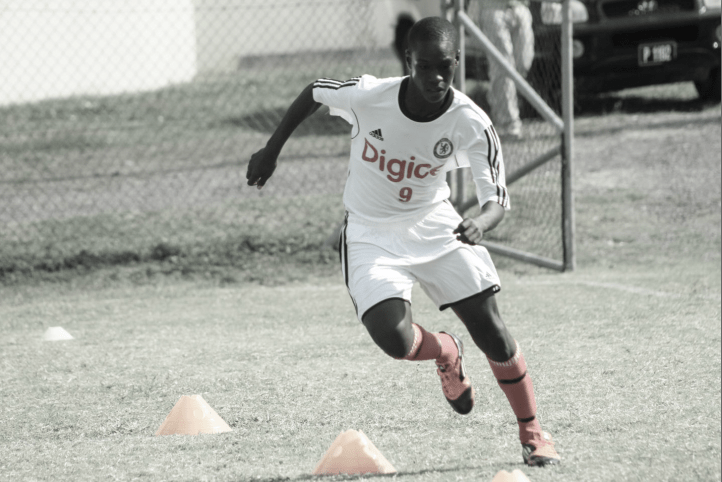 Inspired by their senior counterparts (see above) following their admirable Gold Cup run in the summer, Martinique’s Under-15s exceeded even their own expectations. The team won three out of five and were good value for the victories. Having lost in the opener against Puerto Rico they bounced back tremendously with a 0-4 rout of Haiti and then 7-0 thumping of St Vincent & Grenadines. Hedson Nattes, Kendrick Agot, Kondjo Zebina and Bryan Mont all found the net frequently and Nattes, in particular, was impressive at operating the channels. Martinique will feel somewhat disheartened not to have qualified for the last four. I run a blog http://www.theworldscout.com which of these players do you think is worth doing a short article on? I’d say Leighton Thomas Jr. Amazing potential. Is there any direct footage of him I can add to the blog. And what do you think his main attributes are?